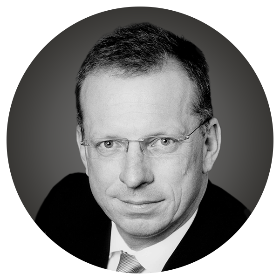 Dr. Thomas Schlick has been a Partner at Roland Berger’s Automotive Competence Center in Frankfurt since 2010. He advises car manufacturers and suppliers on growth strategies, restructuring, efficiency enhancement, technology and innovation management. He previously spent 15 years working as Director of the German Association of the Automotive Industry (VDA), where he was responsible for maintaining dialog with German and European policymakers on technology and environmental issues. Thomas earned his PhD in Mechanical Engineering at the Technische Universität Darmstadt in Germany in 1993.